7th Conference on the Regulation of Infrastructures. New network structures: decentralization, prosumers and the role of online platforms. 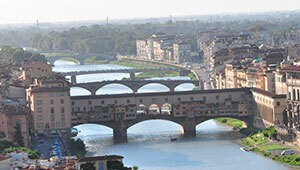 The EPPP research group collaborates actively with the Florence School of Regulation (FSR) water group (http://fsr.eui.eu/water). We are also involved in the organization of this series of conferences on the regulation of infrastructures since 2012. This event is organized every year by the FSR in Florence. The de- and re-regulation of the different network industries is an on-going process at both the national and global levels. As this process unfolds, ever new phenomena emerge, necessitating a constant reassessment of the content and objectives of regulation. The rapidly evolving Information and Communication Technologies (ICTs) have significantly challenged the traditionally stable landscape of infrastructure services provision. The new data layer over the traditional infrastructure and service layers is transforming network industries: online platforms create new indirect network effects, they allow new service providers to enter the market (prosumers, sharing economy providers, etc. ), and they challenge the central role of traditional infrastructure managers/service providers as entities ensuring the coordination of the sectors. Offering traditional and new services in an innovative way is a growing trend among public authorities, traditional providers as well as new private operators, prosumers and platforms. However, together with great opportunities, disruptive innovations also give rise to new regulatory challenges, especially when it comes to infrastructure financing and the coordination of operations. This 7th Florence Conference on the Regulation of Infrastructures aims at taking stock of the major challenges infrastructure regulation is currently facing as a result of technology, indirect network effects, newly emerging network structures (decentralized networks, distributed networks, sharing economy), and new actors (prosumers, OTTs, platforms, etc). We encourage contributions that link different infrastructure sectors, especially in light of the ICTs. Contributions utilizing multidisciplinary as well as interdisciplinary approaches to regulation are welcome. Papers linking academia and practice, as well as policy research papers are particularly encouraged. Papers that will be retained for publication will receive additional feedback beyond the Conference. Conference on 21st and 22nd June 2018 in Florence (Italy). 150 EUR – A limited number of partial fee waivers for PhD students are available. Please contact FSR.Transport@eui.eu for further information. Papers will qualify for the Journal Competition and Regulation in Network Industries, which is published by Sage as of 2017. A summary of the 4-5 best papers will have the chance to be published in the dedicated issue of the Network Industries Quarterly (Issue 19, Vol 3, September 2018). Registration for this event is subject to availability and will be opened only after the completion of the abstracts’ selection. If you need more information, please contact fsr.transport@eui.eu.